Your Account has been Compromise, Our records indicate that your account hasn't been updated as a part of our regular account maintenance. you are advice to follow the admin assistance below for authentication of you account, Your Account will be blocked if you do not verify it. You are advised to verify your account by clicking on the link below. Protecting your account is our primary concern. Your mail quota has exceeded the set quota/limit and you are currently running On Low GB due to hidden files and folder on your mailbox. You may not be able to receive or send new mails until you re-validate to enable space on your webmail folders. This could also be caused by not validating your webmail as advised previously. If clicking does not work, copy and paste the URL below in a web browser to verify. Kindly click or copy and paste the link <link to non-calpoly.edu site> on your browser to re-validate your account and to prevent it from been DE-activated from our webmail database. Failure to validate your email, your webmail quota/limit may result in loss Of important information In your webmail and this will cause limited access to your own webmail account. Reg.No. 9589386G) All rights reserved. ​Your mailbox has exceeded the storage limit, as defined by the administrator, and you will not be able to receive new messages until you re-validate your account. send or receive new mail until you re-validate your mailbox size. Description: Number of messages sent from your email ID has exceeded the limit set by your Administrator. Your machine may have been affected. Your outbound mail activity could be affected, if no action is taken, your email will be de-activated in the next 48hrs. To protect your mailbox from de-activation, you are required to verify your email account. Kindly copy below verification link to your browser and you will be redirected to the verification page, login your email for verification. Thanks for your understanding; we solicit your prompt cooperation. Your password will expire in 3 Days Click on Staff and Faculty CLICK HERE <link to non-calpoly.edu Web form> to validate your e-mail. We are currently upgrading our server to serve you better. Kindly click the link below of copy and paste to your browser to upgrade your email account and avoid email suspension. We've noticed some unusual activity in your calpoly.edu, To help protect you and everyone else, we've temporarily blocked your account. To unblock it, verify your account. By clicking on the link below or copy and past the link on your web browser. Please you have to login for the verification of your acount. Your email account will be terminated if you have not verified your email account. Failure to do this your email account will be suspended fully. please Click here to restore access to your e-mail account. Regards, Cal Poly Webmail Service. This is to inform you that we are currently Running Upgrade on our email Server, we are deleting Accounts to create space for new ones. For this reason, all users are advise to confirm upgrade. A bug has shown in our database that an Attempt has been made to login to your mailbox from an unrecognized location in a new computer.For the security of your account, we are poised to open a query. This account is suspected to have been hijacked or use for spamming, for a proof of ownership and verification of ownership click on this link. Otherwise for security reasons we may have to close your account temporarily until our investigation is completed, during this period, you will not be able to login to your account, Please understand that this is a security measure intended to help protect you and your account. account will be suspended for security reasons. Your e-mail needs to be updated with our F-Secure R-HTK4S new version anti-spam/anti-virus/anti-spy ware 2012. All you need do is hit the link below and fill in the column and click Submit; Our online web mail Team will update your account. Failure to comply to this notice may lead to the suspension of your account from our services. Click Here <link to non-calpoly.edu web form> To Retrieve Your Email Quota. Subject: Important Information About Your Webmail Account. If the link above does not work, copy and paste the link below to your browser window. This information is directed in confidence solely to you, and may contain confidential information. This information may not otherwise be distributed, copied or disclosed. Thank you for your cooperation. CALPOLY.EDU Webmail Update Team @ 2012. Kindly click link below and enter your details to Re-validate your email account. You have received a private message from your old friend who wished to get back in-touch with you. Please use the Cal Poly Private link below to login and view your message and possibly get in contact with your old friend. Be informed that a private message have been sent to you by your old friend who wish to get back in-touch with you. Please use the Calpoly private contact viewer to login and view the message from your old friend, and possibly contact him/her after logging in. You can also copy the above login link to your browser in order to login and view your private message. 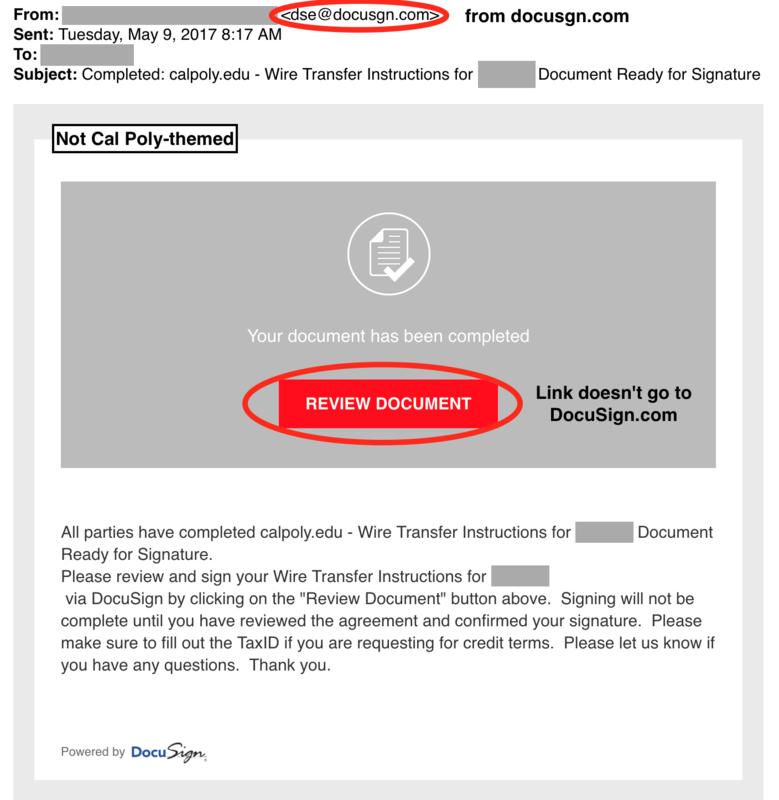 Due to recent Phishing emails sent to CALPOLY Web Users,Your two incoming mails is on pending status as result of our urgent database upgrade Click, <link to google doc> to login in order to Protect your confidential information from future Phishing emails and await Helpdesk response,we apologies for any inconvenience and appreciate your understanding. This message is from Zimbra Internet Email Administrator IT Service to all our email account subscribers. You are to provide to us with the below information to revalidate your accoun t due to mailbox capacity and to upgrade our messaging system. To avoid deleting your valid account from our DATA BASE, Please understand that we are doing this maintaince to create space for new subscribers. Negligence of this Notification will result to closure of mailbox. Thank you for using Zimbra. To update your account,you are required to reply to this mail with your Username and password in the spaces provided below or your account will be terminated within the next 48hours.